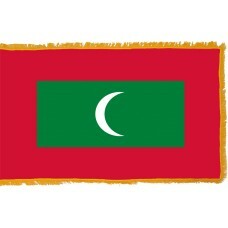 The Maldives Flag consists of a red field with a large green rectangle in the center. In the center of the green rectangle is a white crescent. The red color represents the bravery of the heroes of the country and the sacrifices and bloodshed for the country and it was also the color of the first Maldives flag. The green color represents the peace and hope of the country as well as the many palm trees that cannot be found anywhere else. 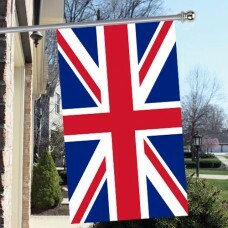 The white crescent represents Islam. 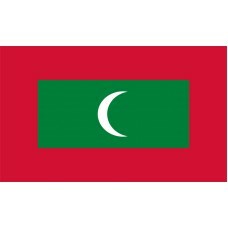 The Maldives flag was adopted on July 25th, 1965. The Maldives is an island country in Southeast Asia (the smallest Asian country) on the Indian Ocean. It is made up of 1200 islands (which include some of the smallest islands in the world), with only 200 of them being inhabited. The capital of the Maldives is Male which is home to the Male Friday Mosque (also known as the Male Hukuru Miskiy) which is the oldest mosque in the country, dating back to 1656, it is famous for the sea-culture architect as it is made from coral stone. The Maldives is a strictly Muslim nation and is the smallest Muslim nation in the world. 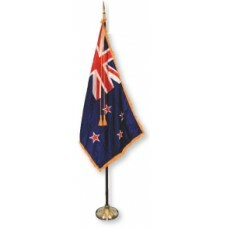 It is both the flattest and lowest lying country in the world with the highest point only being 5Ft above sea level. One of the strongest concerns of the natives are the rising waters which pose a threat to the island. The first underwater cabinet meeting was held at the bottom of the ocean to accentuate the threat that the rising waters pose to the island. The Maldives is a very poor country and the economy is strongly reliant on tourism and fishing. The Kingdom of the Maldives was first established by an exiled Indian Prince. In 1558, the Portuguese established a base there and fiercely tried to impose Christianity on the natives, resulting in a revolt that forced the Portuguese to leave 15 years later. In 1887, the Maldives became a British Protectorate until their independence in 1957. The Maldives has always been a popular tourist attraction, mainly due to the beaches as well as being popular for divers for the many different species of fish that can be seen, which include parrotfish, whitetip reef shark, dolphins, and green sea-turtles. The beaches are coralline sand which only make up around 5% of the world beaches and are renowned for their pure white sand and clear waters. It is thought to be one of the safest tourist destinations in the world as it is so isolated and when tourists visit the island, they are driven straight to one of the 87 resorts and do not really associate with the locals as it is a strictly Muslim nation and inappropriate clothing, products or actions, i.e. wearing bikinis and drinking alcohol are very frowned upon and only permitted on the resorts. And the name of the Maldivians become great.